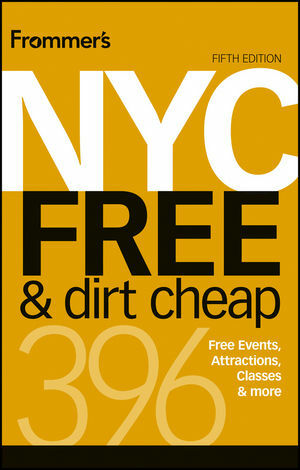 TherapySafetyNet was included in Frommer’s NYC Free & Dirt Cheap, 5th Edition (2013) by Ethan Wolff. While we are starting to wind down our operations because our mission has been fulfilled by the passage of the Affordable Care Act, we’re so pleased to see TherapySafetyNet receive this kind of attention in print, and hope that our visible presence in Frommer’s will help uninsured New Yorkers find affordable care–whether by way of TherapySafetyNet through the end of 2013, or the New York State of Health thereafter. 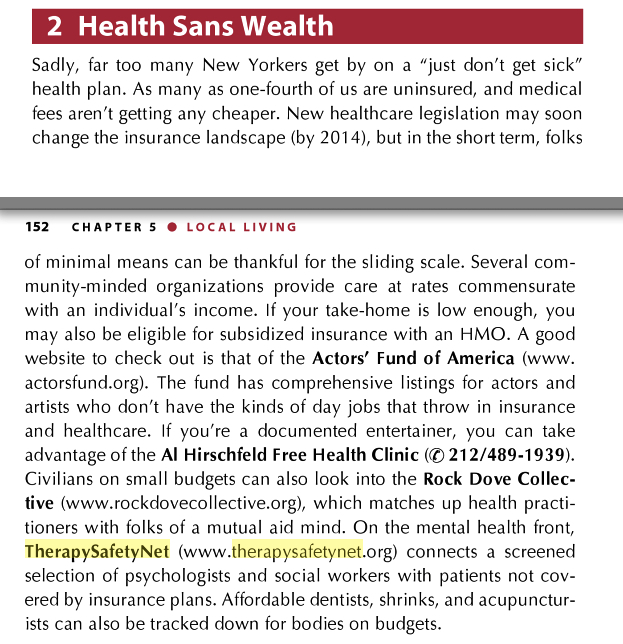 This entry was posted in News and tagged Brooklyn, Health Insurance, Healthcare Reform, Manhattan, New York, NYC, Obamacare, Psychotherapy, Public Relations, Sliding Scale Therapy, Uninsured. Bookmark the permalink.